When you purchase Euro-Home laminate floors, you can be sure your flooring has been manufactured ecologically, and in accordance with economic principles of sustainable forestry and social responsibility. Euro-Home laminates are made of up to 90% wood and are manufactured exclusively with wood from domestic and sustainably managed forestry. This is guaranteed by the PEFC (Pan European Forest Certification) and FSC (Forest Stewardship Council). 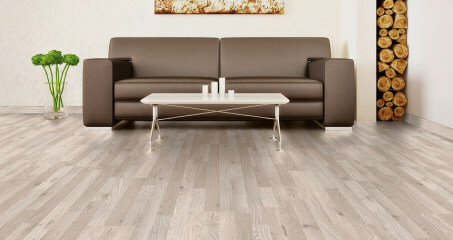 We also follow the German and European E1 Classification guidelines for laminate flooring and wooden composites. These guidelines prohibit the use of materials which could be detrimental to your health.